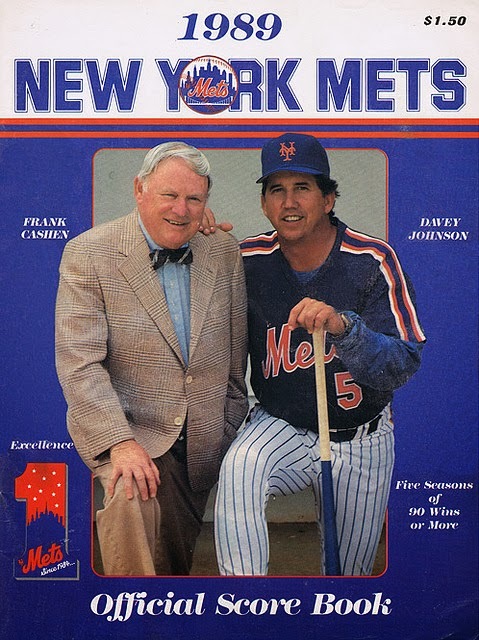 The 1989 Mets were coming off their third & last to date, 100 plus win season. 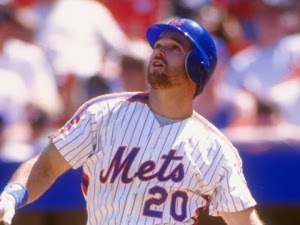 The 1988 Mets had won the NL East title, but had lost in the NLCS, to the eventual Word Champion Los Angeles Dodgers. Trivia: As 1989 was about to begin, Gary Cohen joined the Mets broadcast team for the first time. 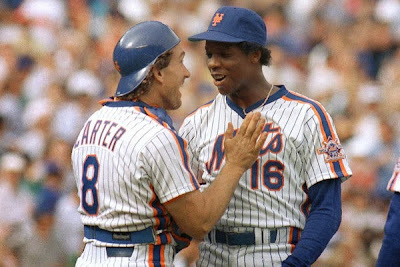 On Monday afternoon, April 3rd, 38,539 Mets fans came out to Shea, to see Dwight Gooden face off against the rival St. Louis Cardinals. Manager Whitey Herzog sent Joe Magrane to face Davey Johnson's Mets. In the 1st inning Gooden walked Vince Coleman who stole second base. He walked Willie McGee then struck out Terry Pendleton. McGee & Coleman stole the next two bases & walk to Pedro Guerrero loaded them up. But Gooden got Tom Brunansky to ground into a double play to end it. The Mets started out the year putting up two runs in the 1st inning. 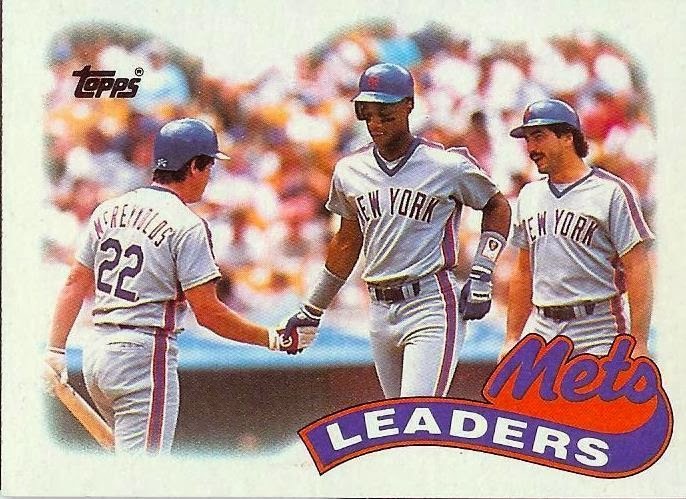 Greg Jefferies doubled, then with two out, Darryl Strawberry doubled & Kevin McReynolds singled bringing in the runs. In the top of the 3rd, Guerrero belted a three run HR to right centerfield putting the Cards ahead 3-2. But in the bottom of the 3rd, the Mets rallied. With one out Strawberry singled & stole second. McReynolds drew a walk & a double steal put runners on second & third. Gary Carter walked to load them up. Howard Johnson came through with a base hit, bringing in Straw & McReynolds. Kevin Elster then singled Carter home & Doc hit a sac fly scoring Hojo making it 6-3. In the 4th inning Strawberry belted his first HR of the year, a two run shot knocking out McGrane making it 7-3. The Cards scored a run in the 8th, as Gooden exited & Veteran Don Aase took the mound. In the bottom of the 8th, HoJo greeted Todd Worrell with his first HR of the year to make it 8-4. Aase closed out the 9th & the Mets had their first win of the year. The 1989 Mets would finish second (87-75) six games behind the Chicago Cubs. The Cards finished third, a game behind the Mets.